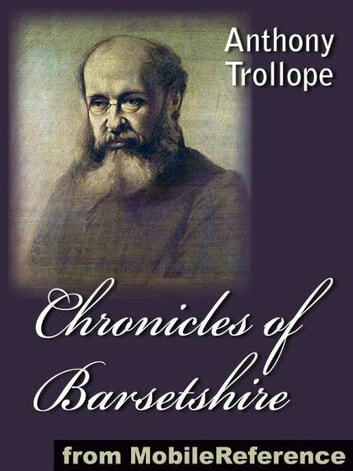 The "Chronicles of Barsetshire" is a series of six novels by the English author Anthony Trollope, set in the fictitious cathedral town of Barchester. 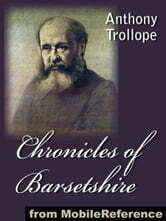 These classics of Victorian literature concern the dealings of the clergy and the gentry, and the political, amatory, and social maneuverings that go on among and between them.The novels in the series are:The Warden (1855) Barchester Towers (1857) Doctor Thorne (1858) Framley Parsonage (1861) The Small House at Allington (1864) The Last Chronicle of Barset (1867) Barchester Towers has been the most successful of the novels. Excerpted from Wikipedia, the free encyclopedia.